As a road-tripping family, we stay in every manner of accommodations, from primitive campgrounds and rustic lodges to upscale Airbnbs, hotels, and glamping retreats. One thing that I’ve noticed over and over again is that sound systems and/or speakers are rarely provided. I started keeping track last year, and of the 16 places that we visited (9 hotels, 3 Airbnbs, 3 glamping resorts, and 1 camping yurt), only three provided a way to for us to listen to tunes. Two hotels provided old clock radios, and one had a super fancy Bluetooth stereo (yay!). For too many years, we’ve resorted to sticking our phones in ceramic bowls to amplify the sound, but we’ve finally gotten ourselves a dedicated Bluetooth travel speaker. 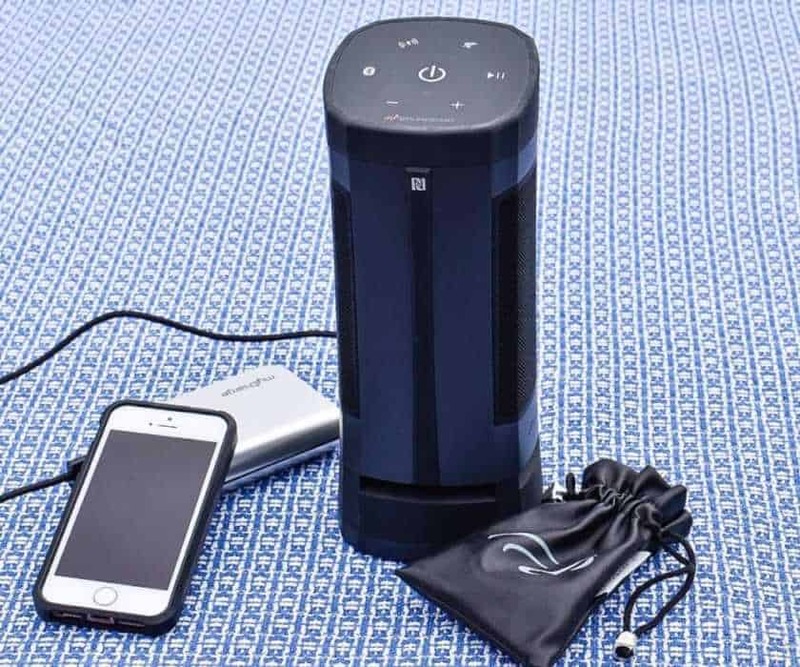 The Soundcast VG3 Portable Speaker is a powerful and water resistant Bluetooth speaker in a travel-size package. We’ve been running it through its paces for the past several months, and we’re finally ready to tell you how much we love it. First, some details. In the box: VG3 outdoor speaker, 3.5mm fabric-wrapped analog cable, micro USB charging cable, battery pack, and user guide. Why don’t hotels and Airbnbs ever have speakers or stereos?? The VG3 includes two 1.5” full-range drivers in a stereo 360° array and one 3” long-throw woofer in a downward-firing configuration for premium sound quality and a combined 30 watts of power. Soundcast provides a limited one-year warranty on all products. The touch-button display is weatherproof on the VG3 and easy to use. At just 9” tall and 3.5” in diameter, this little Bluetooth speaker fits easily into a suitcase or backpack, and we were quite surprised to find that such a small package could produce such quality sound. 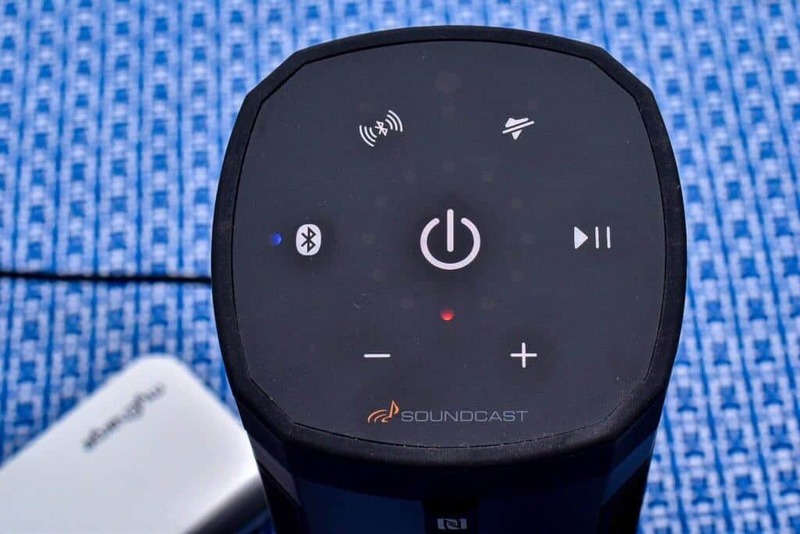 Sure there are smaller, cheaper speakers out there, but if you are looking for a portable, weather resistant Bluetooth speaker with rock-solid capabilities, the Soundcast VG3 may be exactly what you’re looking for. The VG3 includes a sturdy, rubberized foot so that it stays where you put it, and you can even mount it with the threaded screw hole on the bottom. We usually travel with a tripod, so when we’re not framing the perfect photo shoot, we’ve got the VG3 mounted on the tripod for superior sound inside and out. The backlit touchpad control panel is located on the top of the speaker, and includes a centrally located power button, as well as volume controls, a Bluetooth pairing button, a mute button, a play/pause button, and a True Wireless Stereo (TWS) button for linking two VG3 speakers together for stereo sound. While we tend to keep our music fairly subdued while traveling, we did rock out with VG3 a bit — you know, for review purposes. We cranked up our Spotify Road Trip playlist on numerous occasions and were impressed with the depth of the bass, the balance of lows and highs, and the crisp notes and crystal-clear vocals. From reggae to rock and roll, upbeat folk to coffeeshop jazz, we didn’t discern any distortions in the sound, even at the highest volumes. Soundcast estimates the battery life to be about 15 hours on the VG3, which we found pretty accurate, except in extremely cold temperatures. We did listen for an extended period outdoors in 20 degrees during a light snow. We had no issues with the unit getting wet, but the cold temperatures reduced the battery life to about 8 hours. Running the speaker at maximum volume also reduces the battery life by a few hours. Because we often travel to places without electricity, we pair the VG3 with a portable power bank for a weekend’s worth of off-grid tunes. 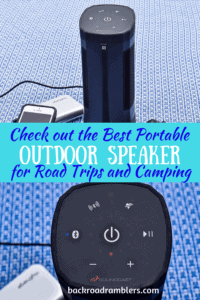 While the VG3 isn’t as small as a few of the other portable outdoor speakers we’ve tried, the sound is far superior to anything we’ve ever traveled with. At 3.5 lbs., we wouldn’t bring the VG3 backpacking, but we will definitely bring it along on road trips and car-camping adventures. For more robust outdoor adventures — think pool parties, barbecues, and family reunions, we wouldn’t hesitate to upgrade to one of the more powerful models in the VG line, but for road trips, hotel and Airbnb stays, and camping trips, the VG3 is exactly what we’ve been looking for. 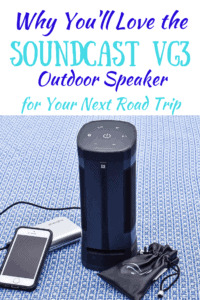 The Soundcast VG3 portable outdoor speaker is currently available on Amazon or at your local Best Buy. 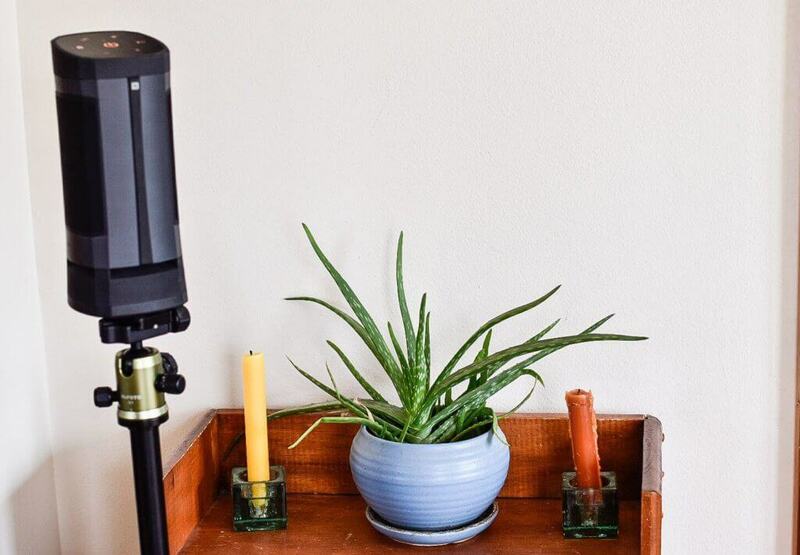 Thank you to Soundcast for providing us with a VG3 so that we could write this post! As always, our opinions are entirely our own, and we are so grateful to finally have a way to listen to our favorite tunes loud and clear when we travel.